Nairobi (HAN) August 26, 2014. Expert Analysis, Your Power & Regional Influence Magazine, opinion page by KATE LINTHICUM – As Kenya fights terrorism, its tactics come under fire, Los Angeles Times. The 44-year-old Muslim cleric was driving with his family along a narrow highway on Kenya’s coast when bullets shattered the car’s windows and blood seeped through his white robes. Sheik Aboud Rogo Mohammed steered the car to the shoulder and collapsed into his father-in-law’s lap, dead. Rogo, who died in 2012, is among a number of Muslim leaders with links to radical Islam who have been killed or have disappeared over the last two years in and around Mombasa, a verdant port city popular with tourists. Human rights groups and others believe Kenyan security officials with the elite Anti-Terrorism Police Unit, which receives a portion of its funding from the United States, are responsible. That suspicion, along with the government’s recent crackdown on ethnic Somalis after the Shabab’s attack last year on a Nairobi shopping mall, has spurred criticism that Kenya is carrying out an indiscriminate war on its Muslim minority in its effort to secure the country. The African nation shares a border with Somalia. “Instead of investigating and prosecuting these and other killings, the security forces regularly commit awful abuses against communities based on ethnic profiling,” said Leslie Lefkow, deputy director for the Africa division of Human Rights Watch. Last week, her group released a report that draws links between the anti-terrorism unit and at least 10 killings and 10 cases of forced disappearances in Kenya. An official with the anti-terrorism unit did not respond to requests for comment. Other Kenyan officials have denied that the government carries out extrajudicial killings. Investigators, meanwhile, have not identified suspects in any of more than two dozen recent disappearances and deaths. 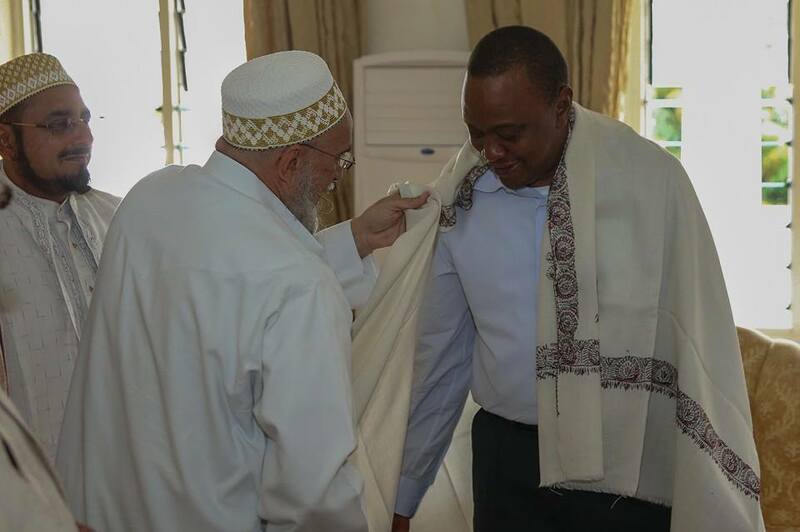 Mwambi Mwasaru, executive director of Mombasa-based Muslims for Human Rights, said the perceived lack of justice is hardening anti-Western and anti-Kenyan sentiment among the very population that’s needed to fight extremism. Over the last several years, the Shabab has made a heavy push to conscript followers in Kenya. Angered by a Kenyan military invasion of Somalia after a spate of Shabab kidnappings along the border, the group now sends representatives into Kenya to infiltrate local Muslim communities and publishes a Swahili-language recruitment magazine called Street Terrorist. Its message has gained traction on Kenya’s Indian Ocean coast, where the mostly Muslim indigenous population has long felt marginalized by the central government. The unemployment rate is high among Muslims, and many resent the mostly Christian influx from other parts of Kenya. Rogo embraced and shared the group’s anti-West message. Born on Siyu Island, off Kenya’s northern coast, he moved as a young man to Mombasa, the country’s second-largest city. For a time he belonged to a fledgling Islamic political party that sought more coastal autonomy. Security officials believe Rogo came into contact with Al Qaeda operatives intent on waging global war in the 1990s. He was accused of playing a small role in the group’s 1998 bombings of the U.S. embassies in Nairobi, Kenya, and Dar es Salaam, Tanzania. Later, he was acquitted of crimes related to the Al Qaeda-linked bombing of an Israeli-owned hotel in Mombasa in 2002. In 2012 Rogo was placed on United Nations and U.S. sanctions list for becoming a major fundraiser for the Shabab. He often delivered his brazen remarks at Masjid Musa, a white and turquoise mosque in the hardscrabble Mombasa neighborhood of Majengo. The mosque is known as a hub for Shabab recruitment. 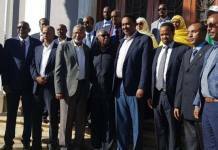 In February, leaders there raised a black Shabab flag on its minaret and held a widely publicized conference on Islamic militancy. Muslim leaders with ties to the mosque began disappearing two years ago, activists say. Preacher Samir Khan, who had been arrested on weapons charges by anti-terrorism police in 2010, was last seen when he was detained by police while riding a bus in 2012. A few days later his body was found, mutilated, in a national park. Late that year, Badru Mramba, a samosa vendor who attended Masjid Musa, was detained by men who identified themselves as police. He was never heard from again, according to an investigation by Muslims for Human Rights and the Open Society Justice Initiative, a New York-based rights group. Others who have died include Sheik Ibrahim Ismail, a successor to Rogo who was shot to death with three others in 2013, and Sheik Abubakar Shariff, who in April was slain on the same palm-lined highway as Rogo. In interviews with journalists before his death, Abubakar said he believed police were out to kill him. There are signs that the attacks on Islamist clerics are further fueling ethnic and religious tension in Kenya. Rogo’s death sparked days of street riots in Mombasa, during which Muslim youths vandalized churches and killed three police officers. This year, after Kenyan police stormed Masjid Musa, killing several worshipers, assailants believed to be youths with Shabab sympathies opened fire in a church, killing six people. Radical youths were also blamed for the June slaying of Sheik Mohammed Idris, a moderate Muslim leader who was an outspoken critic of religious extremism. Kenyan militants are also suspected in several larger attacks, including recent bus bombings and a June assault on the coastal town of Mpeketoni, in which gunman reportedly demanded to know whether villagers were Muslim and killed nearly 50 who were not. With terrorism on the rise in Kenya, the United States has increased its counter-terrorism aid, including funding for the anti-terrorism police unit. According to government records, the U.S. gave $10 million to the anti-terrorism police unit for training and equipment in 2003, the year the unit was formed, and has given an average $8 million a year since. The United States has called on Kenya to further investigate the cleric killings, with U.S. Ambassador Robert Godec saying it is essential that the country “follow the rule of law” while carrying out security operations. Multiple groups, including Human Rights Watch, have called on the U.S. to stop funding the unit until allegations of abuses have been investigated. The U.S. is in talks on increasing its anti-terrorism funding to Kenya, according to an official who asked not to be named because he was not authorized to discuss the matter. Kenyan officials say they have investigated all of the incidents but have not been able to identify those responsible. They deny that police were involved. “Just because an individual was summoned for normal interrogation by police on terrorism, then they were later killed, does not mean the killers are police,” Mombasa County Commissioner Nelson Marwa said. Kenyan security officials have admitted killing several Muslim leaders who were terrorism suspects, including Kassim Omollo and Salim Mohammed Nero, but they say the shootings occurred only after the men took up arms against police. Jonathan Horowitz, one of the authors of the Open Society report, said he spoke with witnesses who gave different accounts. In Nero’s case, a witness reported seeing him handcuffed shortly before he was killed. An autopsy showed he had been shot five times in the head. Horowitz said he believed Kenyan security officials were taking “shortcuts” in the face of rising extremism. “The government’s response to that seems to be, ‘Let’s use more unlawful violence and not hold our security forces responsible for not following the rule of law. '” he said. kate.linthicum@latimes.com. Special correspondent Joseph Akwiri contributed to this report, Los Angeles Times.